JF Engineering is the major Organization in offering Spring Lock Washer fasteners to the clients. Flat Washer is manufactured by utilizing the supreme quality material under the supervision of experienced team as per national and international market standards. This product is stringently checked by the quality auditors on well defined parameters. Spring lock washer has amazing features such as sturdiness, easy to install and dimensionally accurate. They use in various applications as they will “lock” the nut/bolt to the joint and stop loosening. We have a vast range of flat washer, which is manufactured using quality material and many clients appreciate our product because of its high tensile strength, durability and corrosion resistance. 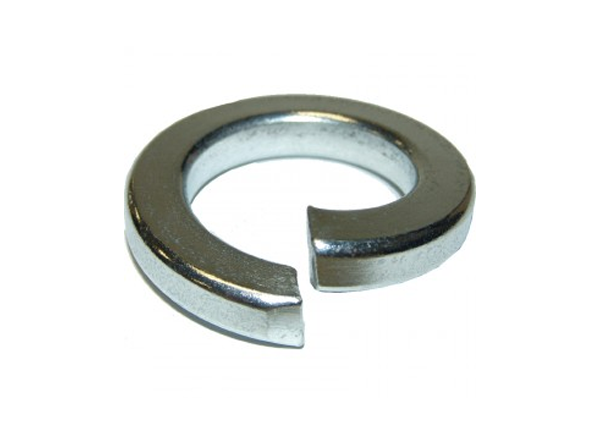 Spring lock washers are available in different size such as stainless steel and alloy steel. - Alloy Steel Grades : B 6, B 7/ B 7M, B 16, 2, 2HM, 2H, GR 6, B 7, B 7M.